Read more and sign up for the courses here on www.gilalai.com. Sunday 17 February to 24 February. The Egmont folk high school in 8300 Odder, Jutland. Price: 8,000 DKK for the week course including accomodation with meals. Transportation from Aarhus Airport is organised for 27 EUR/200 DKK each way. A shuttle bus (1 hour drive) from Malaga airport will be arranged. This place is unique build by the owner Anthony into caves in the mountain and with springwater in the pool. Sign up for the courses here on gilalai.com. See photos from previous courses here. Read testimonials from former course participants here. See photos of Egmont folk high school here. If you have any questions, please write to contact@gilalai.com. Education in Vocal Sound Therapy is based on blocks of 7-days courses with a maximum of 30 students per week course. Each week course will have the same basic structure adapted to the needs and levels of the participants. After a minimum of four weeks you can choose to take an examination. It is only necessary to commit to one week course at a time. The training will be ongoing so you can pick and choose week courses/arrange them in your own country as suits you. In 2018 Githa BD has worked in Denmark, Holland, Ireland, England, Sweden, USA and England once again where she has facilitated workshops and education. Certified training in Vocal Sound Therapy is based on Githa BD's two books "The Note from Heaven" and "Vocal Soundhealing" . IGitha Ben-David has worked for the past 32 years with The Note from Heaven, which she first experienced in India in 1985. Since then she has had students/clients/sound-healing groups, given lectures and concerts and published a number of books and CDs. The programme of this training is inspired by my devotion to uniting with the Sound we truly are: The Note from Heaven. 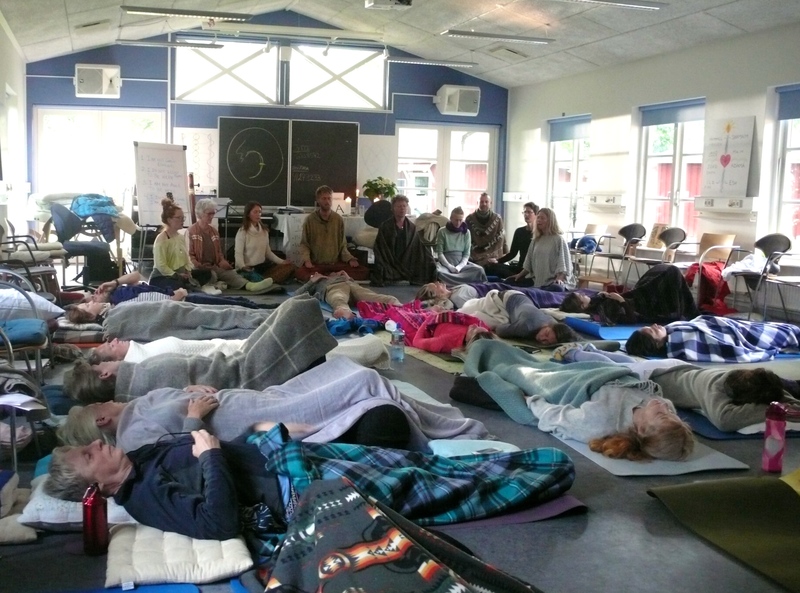 The training gives students the opportunity to open up their voices and reconnect with their true nature. 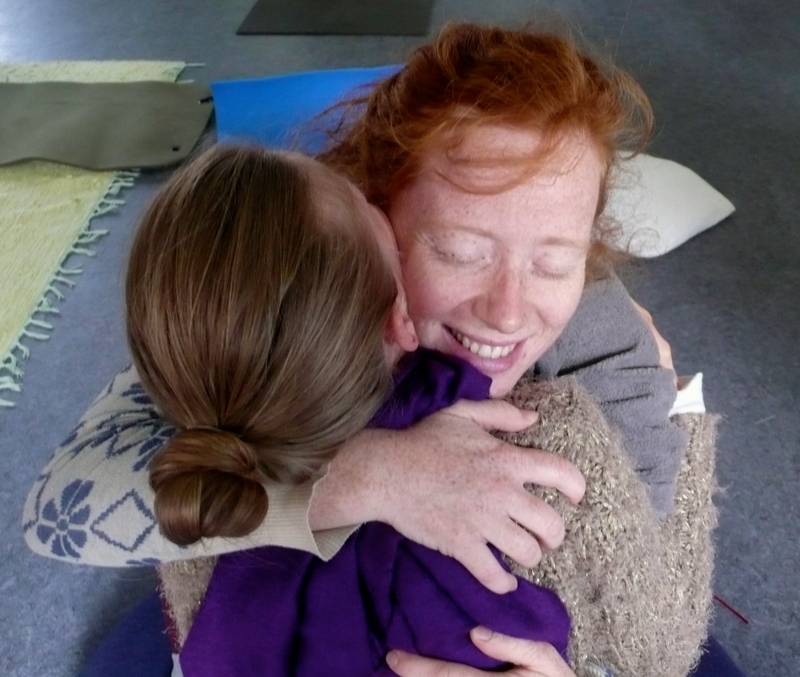 The goal of the training is for students to recover their own healing qualities for the benefit of themselves and others. There are no two similar voices on Earth. Each voice brings a certain quality, a gift with it. Through the training the individual's true expression is released. Our approach to the work is gracious and compassionate and truthful feedback is paramount. The training will take place in English as there are international participants. There will be a maximum of 30 participants. Admission will be ongoing from week course to week course. The training will be held in beautiful natural surroundings. The course prices include organic vegan meals and accommodation. There is a grocery in walking distance (1 km) if you need private food supply. Please download and fill out this application form and send it to our secretary Nanna at contact@gilalai.com. We would also like a short talk with you via Skype or telephone before you are admitted to the education. Deposit: A deposit of 1000 DKK is paid first to secure your place. Price: 8000 DKK including deposit. The full amount must be paid two months before the start of the course at the latest. Refund: Cancellation costs up to one month before the start date: 1000 DKK, then 5000 DKK. The last three days before start date of the course: 8000 DKK. If you can find someone suitable to take your place you will pay 1000 DKK. The nearest airport is Aarhus Airport (website: www.aar.dk). Students will be picked up Sunday at Aarhus Airport at 14.20 (arrival at Egmont in Hou ca. 15.30). Students will be returned the following Sunday to Aarhus Airport departing from Egmont in Hou at 11.30 (arrival at Aarhus Airport ca. 12.40). Price: 27 EUR/200 DKK each way (is payed in cash to the driver). If you arrive earlier: In connection with the majority of flights, there is an airport bus service between Aarhus and Aarhus Airport. Tickets are sold on the bus. Accepted currencies are: Norwegian Crowns, Swedish crowns, US Dollars, Pounds and Euro. Major Credit Cards are also accepted. Departure and arrival in Aarhus C takes place in the square Banegårdspladsen - next to the central station. Look for route number 925X. At Banegårdspladsen - next to the central station in Aarhus C you can take bus number 103: departure at 10.56 and arrival in Hou at 11.45. Ask the bus driver to get off by the indoor swimming pool “Vandhalla” (address: Villavej 25, Hou, 8300 Odder). From here there is 200 meter to the Egmont folk high school (address: Villavej 46, Hou, 8300 Odder). You will live in the houses called Søsportcenteret located down towards the sea opposite the folk high school. Meetingpoint where you get the keys is in the Tee-house. Sing The Note from Heaven daily (especially between the first and second week course), group work, sound therapy with freinds, clients. These books are not included in the course fee. 'The Note from Heaven' and "Vocal soundhealing" by Githa Ben-David. Other recommended books: 'Dialogues with an Angel' by Gitta Mallasz and 'The Law of Light' by Lars Muhl. The education will take place at Egmont Højskolen (a folk high school) which is situated 1.5 hours drive from Billund Airport. You will sleep in red wooden houses, 4 people in two- rooms, two bathrooms, a kitchen including a living room with fireplace -and further sleepingplace about fifty meters from the beach surrounded by trees. There is acces to a sauna at the beach and a swimming pool with warm water Thursday evening, (tennis and basketball lawn available too). There is a grocery and a small harbour 1 kilometer away. You must be passionate about working with sound and have worked with your self spiritually, or be a trained therapist or a musician in order to be admitted to this education. People with drug addictions, serious psychological problems or those on serious medication for mental health issues will not be admitted to the course. The training will be given by Githa Ben-David and there will be supporting teachers/educated students of Githa helping her. There is an examination fee of 3000 DKK which you can pay here on www.gilalai.com. In order to be considered for certification the required participation is a minimum of four week courses. 1) Thirty verified cases of Vocal therapy sessions with you as the therapist demonstrating knowledge of the methods taught in Modules I-III. 2) Answering of questions in a written examination. 3) To make a ten minute film with excerpts from a session you feel good about, soundhealing and or regressive singing, The note from heaven.